The more elaborate and specific your office moving requirements, the more sophisticated and professional removal service you require. 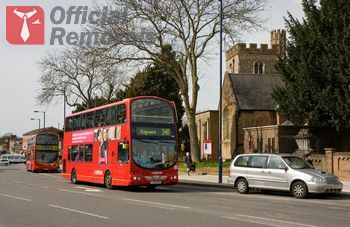 Office Removals Edgware is a specialised office removal company, which offers business customers in the HA8 area access to the most affordable and highly efficient, professional grade office removal solutions available right now. Our technical expertise and extensive industry experience are unrivalled, which means we can and do actually provide the best office removals in Edgware. We approach each office removal request with all due care and punctuality. We understand that customers have different office moving requirements and different timeframe for completion of the project. In order to be flexible and versatile, our removal solutions can be customised to suit specific requirements, or budget constraints. Office Removals Edgware needs to make sure that all stages of the relocation are carried out accordingly and completed timely, this is why the entire moving process from start to end is supervised by a specially qualified logistics expert. On ground level, it is our diligent and well organised mover teams that make it happen. We work with specially trained moving professionals as this is the only way to ensure safe handling, and risk-free transportation of your office contents from A to B. We also provide the most comprehensive and attentive office removal services in Edgware, therefore our expert mover teams will deal with the preparation work for your office removal, including packing, securing, loading and labelling of items being moved. In terms of technical capacity, we have a number of transport vehicles of different payload capacity. Our vans are equipped with removal trolleys and skates in order to facilitate for a swift and easy loading and unloading of your office contents. If necessary, we will also supply high quality, industrial grade packing and wrapping materials and spare your items from damage during handling and transportation. If you are moving the contents of multiple or identical offices, we will also list and label the contents of items being moved in order to avoid misplacement and mix-ups along the way. For the most efficient and affordable Edgware office removals, we are the company you need, so make your number one choice and we will live up to your expectations. We provide convenient week round servicing, with flexible booking hours which don’t get in the way of your daily business or staff duties. All customers can request free quotes.